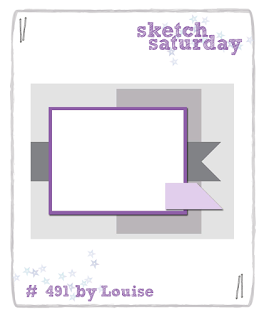 This week's Sketch Saturday challenge is sponsored by Bugaboo digital images. I love their stamps and always look forward to using them. One lucky winner will receive 4 images of their choice. I used an image from the Snowman Set 2. Well, I hope it isn't actually yet snowing! But I made these two cards from Christmas cats and dogs images from DigiStamp Boutique. Cute aren't they? You can never beat a robin image at Christmas! This one is a new(ish) release from DigiStamp Boutique. I'm sure you could use the images from this DigiStamp Boutique set to make all year round cards, but it is the festive season and so I have gone for 'Christmas' angels. The 'Christmas' bit is fairly subtle- snowflakes/ornaments on the papers if you look hard! It's been ages since I have made a card which is a bit different to the norm (ie not just one sheet with one crease in the centre). Thought I would try a stepper card with this cute DigiStamp boutique angel image. Even made a tea-bag folded Christmas tree to go along side- how long is it since I have done that??? Must be over 10 years since I did tea bag folding! There are two fab cute images in the DigiStamp Boutique Christmas teddy set. I made these cards with them. This week's Sketch Saturday challenge is sponsored by Paper Nest Dolls who have offered one lucky winner 3 free digi images of their choice. I used the image Fairy Emma with Unicorn on my card. It's been a while... my card making seems sporadic these days. I do enjoy it though, especially when I have a pile of images that I want to use. This one is from a new(ish) release from DigiStamp Boutique- Annie set. A little card from me made using a DigiStamp Boutique image.